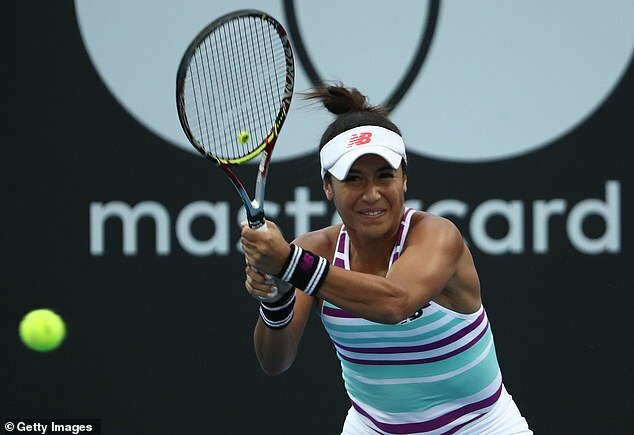 Heather Watson is hoping the Australian Open can help her break out of the ‘vicious cycle’ she has become trapped in. There have been a few highs mixed with a lot of lows since the 26-year-old nearly caused a monumental shock against Serena Williams in the third round of Wimbledon in 2015. At that stage her career still appeared very much on the up but last year she dropped out of the top 100 before climbing back again and will begin her campaign at Melbourne Park ranked 108. Watson is usually a positive talker so it was telling when she said ahead of her clash with 31st seed Petra Martic on Monday: ‘I feel like the last year or two I’ve not been doing as well as I should be or could be doing. ‘I’ve been working really hard so I’m just wanting the hard work to match the results. But the more I get older the more I realise how mental it is and how the most important thing is just being confident in yourself and being able to stay relaxed in those tense, important moments. Asked why she has not managed to find the answers, Watson said: ‘Probably because I’m emotional. I need to relax a bit more and not put too much pressure on myself. 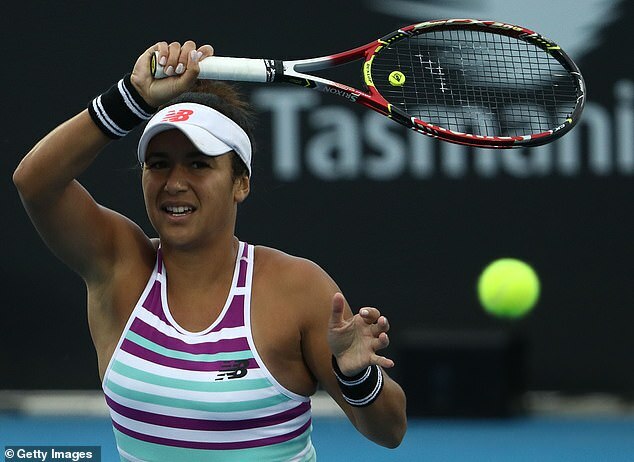 Watson, who has won only a single match at the last five Grand Slams combined and only one match in the last five years at Melbourne Park, is one of seven British players competing on the opening day of the tournament. 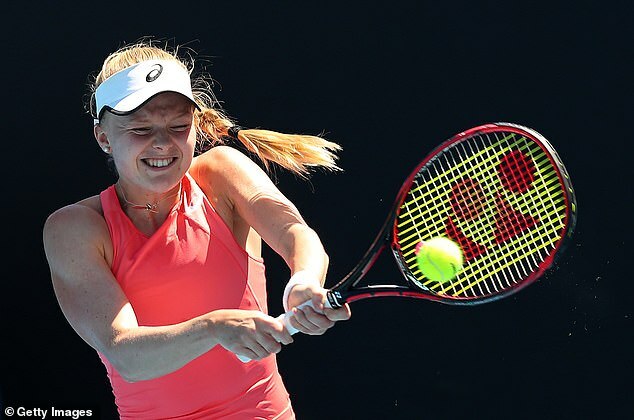 While most of the attention will fall on Andy Murray, qualifier Harriet Dart has her own momentous occasion when she takes on Maria Sharapova on Rod Laver Arena. The 22-year-old landed the plum draw at only her second major tournament, and is relishing the occasion. There will be higher expectations on Dart’s fellow qualifier Dan Evans, who faces Japan’s Tatsuma Ito, while Kyle Edmund will hope to survive a stinker of a first-round draw against Tomas Berdych. The Czech has reached at least the quarter-finals in seven of the last eight years but is unseeded after slipping down the rankings because of injury. Edmund’s ranking would drop outside the top 20 should he fall at the first hurdle after last year’s remarkable run to the last four, but he has not been losing any sleep over it. He said: ‘It’s a number on a sheet of paper. The worst that can happen is I lose and I go down a bunch of rankings. Katie Boulter marks her slam debut outside of Wimbledon by taking on experienced Russian Ekaterina Makarova while in-form Cameron Norrie, fresh from reaching his first ATP Tour final in Auckland this weekend, plays doubles partner Taylor Fritz, of the USA.